Just a few days ago it was confirmed by OnePlus team that OnePlus 2 will have 4GB of RAM. OnePlus is continuously revealing details about their next flagship device, the OnePlus 2 and now, they have even revealed what kind of battery we will get in OnePlus 2 and looks like we have got some good news. This time, they revealed it on Reddit AMAA (Ask Me Almost Anything) session. OnePlus executives Michael, Emmanuel, Carl Pei (co-founder), and David were present in the conversation and they revealed a few more details about the OnePlus 2. OnePlus 2 will pack a 3300mAh battery, which is around 10% increment from that in OnePlus One. 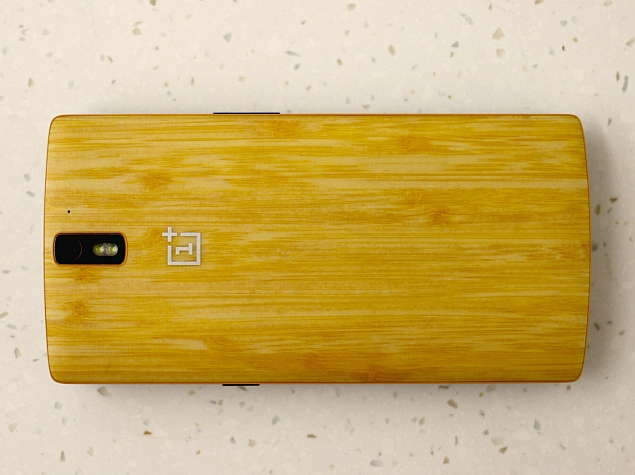 Also, we may see a compact form factor compared to its predecessor OnePlus One. However, we don’t know yet whether the display will be tailored for that, or it will stay the same as 5.5 inches as it was tipped recently. While the camera details were not mentioned, the executives said that the camera has “a bunch of things that we believe will set the OnePlus 2 apart.” Michael also added that for OnePlus 2, there has been very extensive testing of the touchscreen, and it will not misbehave as it did on OnePlus One. in case of OS, they will stick to Oxygen OS, but will try to be as close as possible they can to Android. On the other hand, Pei confirmed that the charging cable of OnePlus 2 will be there in both 5 feet and 3.3 feet sizes. He also added, “Hardware has been locked for a while. We’re just about to exit design verification stage, still tweaking the last few fit & finish details but no major design changes.” Also, OnePlus 2 would be missing out on a heart rate sensor and a front-facing fingerprint sensor. We know that OnePlus 2 will have three variants – A2001, A2003, and A2005. However, OnePlus team has cleared the doubts regarding these variants. One of them will be China-specific, while the other two will be international models. Also, among them one is for North America, while the second one will be for Europe and Asia. One of the differences between the models will be the network band support. The North America variant will support GSM 850, 900, 1800, 1900MHz, WCDMA bands 1/2/4/5/8, and FDD-LTE bands 1/2/4/5/7/8/12/17, while the Europe and Asia variants will come with GSM 850, 900, 1800, 1900MHz, WCDMA bands 1/2/5/8, and FDD-LTE bands 1/3/5/7/8/20. but, there have been no mention yet about the support for TDD-LTE Band 40 (2300MHz), which may be a problem in India, as the carriers in India currently offer 4G LTE only on the TDD-LTE 2300MHz Band 40, while the FDD-LTE 1800MHz Band 3 is expected to get launched later this year. But, here’s something good to know about, OnePlus has promised that it will keep OnePlus One available in markets after the OnePlus 2 launch. Just like the OnePlus One, OnePlus 2 will also be available via the company’s invite system. It has been already revealed that the it will be launching on July 27 and the announcement will be made at a virtual reality event. The OnePlus 2 will not cost more than Rs. 28,500 or $450, and will feature a fingerprint sensor, a Qualcomm Snapdragon 810 v2.1 SoC on board, USB Type-C port and 4GB LPDDR4 RAM. So, can it be a game changer among so many flagship devices? only time will tell that when it is launched.